Improve your patient's medicinal compliance.The Proud provides labor savings, safety and reliability. 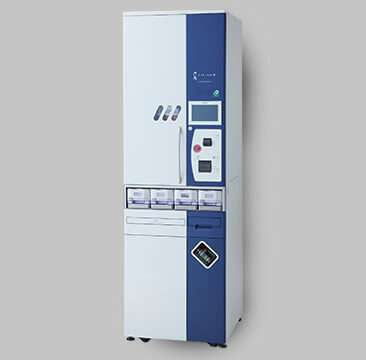 The LitreaⅢ is Yuyama's newest packager. Available with the several options. Improve your safety and accuracy. Check for quantity,color,shape and even thepossible contamination in your multi-dose packs. Yuyama provides the high accuracy for your reassurance and that of your patients. 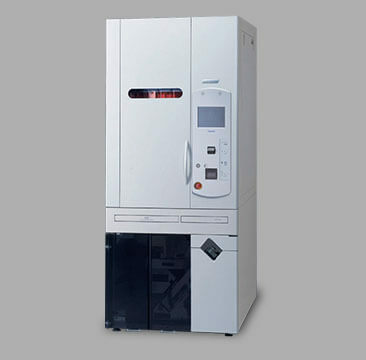 Yuyama's Support System for manual-filling operations. 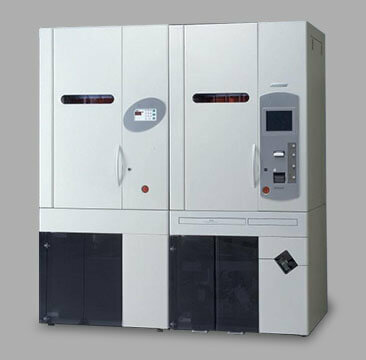 Using the DTA Station and DTA Storage unit helps eliminate the human error caused from manual-filling. Adherence packaging is essential for patient and medication compliance. Yuyama offer various size of pouch packing automations and its suport systems, Improving your accuracy and safety. Improve your patient’s medicinal compliance.The Proud provides labor savings, safety and reliability. 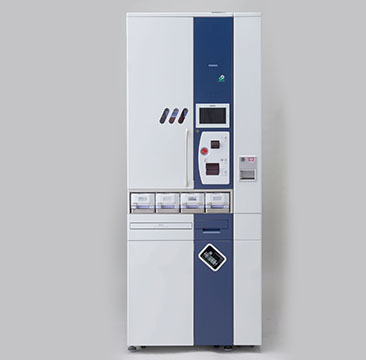 LitreaⅢ is the perfect solution for the small to middle scale pharmacies. 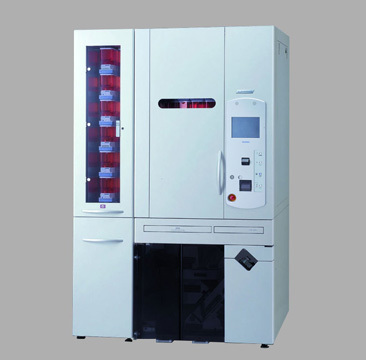 Yuyama’s newest technological innovation, named the Universal Canister, is the solution for the increasing brand-to-generic drug changes. Let LitreaⅢ help improve your patients’ medicinal compliance and your ability to multi-task today! 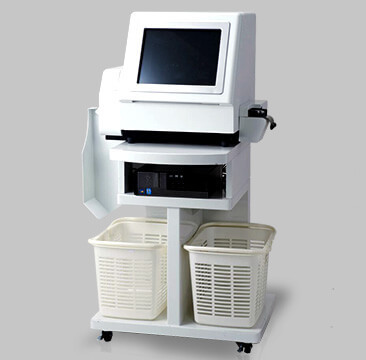 Tab-Sight can efficiently inspect the packed tablets for color,quantity and shape by utilizing data from packager device.User can easily check the result for each pouch on the large screen.As an option,Yuyama also provides the marking function for inaccurate pouches.Users can check the marked pouches after verification, making this the best solution for your patient safety. Automatic Winder Helps Organize Your Medications Pouches. Yuyama provides a fully-automatic winder for reducing time spent on manual pouch organization. The compact winder can organize a large amount of pouch strips from packager devices automatically. 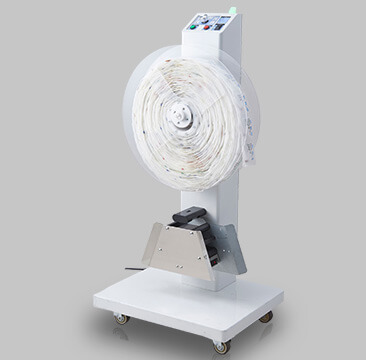 Once you attach the edge of the pouch strip into the spooler, the winder will automatically begin operation, promoting efficiency in your workflow. DTA Station is used as a “pre-pack solution”. The scripts are sent to the packager, and some of the prescriptions have medications which are not loaded on the Packager. For added efficiency, Yuyama’s system can devide various scripts by flagging those with manual additions and those without. For those with manual adds, the user can prepare and fill drugs in advance on the tray. 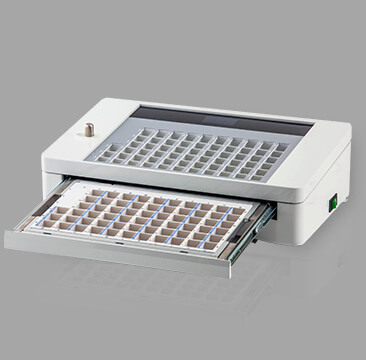 When a prescription with a manual addition is ready, the user simply sets the designated tray into the Packager. 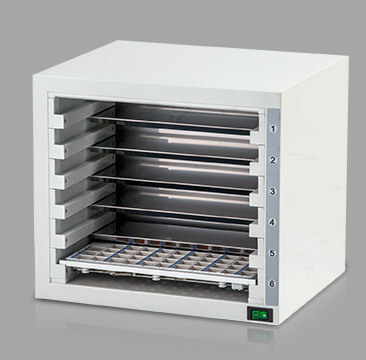 DTA Storage can stock up to 6 trays. When the pre-set tray in the DTA Storage is ready to be placed into the PROUD, an LED light will activate and notify the user of the proper tray. Guided by the LED, the user simply picks up the tray and places it into PROUD’s DTA Storage, assuring the user that mispicks won’t occur. Improve your patient's medicinal compliance. The Proud provides labor savings, safety and reliability. Receive Emails to keep update on Yuyama product information, News & Promotions.